"Hi, I'm Pepa, and basically, I love books. I only started book blogging recently, but I've been reading for a long while. I love the community here. I love how everyone in the book blogging community can just get lost in a book the same way I can. And I love to meet new bloggers to discuss books with. My favorite genres are paranormal and dystopian. But I'll still read anything that's YA. The two authors that really got me into reading are JK Rowling and John Green. JK Rowling filled my childhood with this magical world that I never forgot, and ever since then I've been looking for more books and more worlds to escape into. And then John Green brought me into the YA world. I love both of their work. Some of my favorite books are the Harry Potter series, Looking for Alaska, Divergent, The Hunger Games, Vampire Academy series, and the Infernal Devices books. I love how books allow you to escape into a different reality and just forget about yourself. I also love meeting new people to talk book-talk with. So come say hi, I don't bite. :)"
Question: Keeping with the Spirit of Giving this season, what book do you think EVERYONE should read and if you could, you would buy it for all of your family and friends? Hmm...there's a lot of books I could choose for this question. I'm going to stick with books that I read this year. On the YA fiction side, I would love for everyone to read Daughter of Smoke and Bone by Laini Taylor. It's incredibly creative, emotional, and romantic. Goes far beyond the typical paranormal romance. 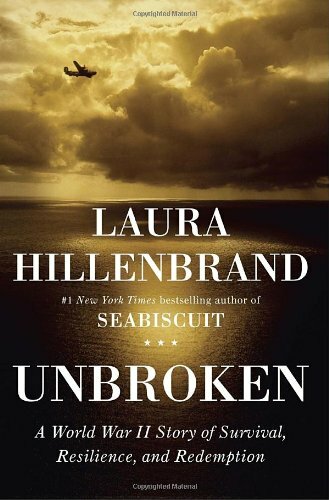 On the non-fiction side, I think everyone should read Unbroken by Laura Hillenbrand. It's a heart-wrenching tale of unimaginable torture but also the triumph of personal strength. And very well-written. (Required) Follow our Featured Bloggers - Anonymous Reads & Keeping Up with Roxy's Books. I haven't read Daughter of Smoke and Bones but I hear it's really great! I will have to get to it sometime soon. I still need to read Daughter of Smoke and Bones! Great pick! I still haven't read my ARC copy of Daughter of Smoke and Bones. Soon though. Great choices! I loved Daughter of Smoke & Bone.. Daughter of Smoke and Bone is a great choice. I loved the read! Stopping by on the hop. I haven't read either of those, but I've heard good things about the first. I REALLY need to step my reading up and finally get to The Daughter of Smoke and Bone. So many people are praising it and I feel so left out. I loved Smoke and Bone! I haven't read Unbroken, but I really like WWII narratives, so I'll have to check it out! There were so many great books this year to chose from. Good choice. I loved it as well, but there was one book that I love so much that I loved it and loaned it to a lot of people. I know how you feel. I've heard so many great things about The Daughter of Smoke and Bone. Might need to check it out. As much as I know that people have loved it, to be honest, I've never read the summary (i.e. I have no idea what it's about lol!) But I love that cover! Hope you have a great weekend! Thanks for posting about The Daughter of Smoke and Bone. I will definitely check it out. This is my second FF. Thanks for creating such a great hop! somebody with similar non fiction tastes. I have heard the Daughter of Smoke and Bone is good. I just need to get to read it. Thanks for hopping on over! That Smoke and Bone sounds really good, I will have to add that to my TBR pile. Thanks for sharing, Happy Holidays! I seriously need to get these books. Great Picks. Daughter of Smoke and Bone is really beautifully written! Great choice. Our blog is relatively new, and we just joined the blog hop! thanks for such a wonderful blog hop. I really want to read The Daughter of Smoke and Bone. Thanks for stopping by my FF! Haven't read those, will have to add them to my growing list to check out! I'm going to have to check out both of those reads! seems like Daughter of Smoke and Bones is very popular! I really, really want to read Daughter of Smoke and Bone. Unbroken sounds interesting. It's very cool that you were in Mesa! The lights at the Temple are gorgeous! Hope you had a good time here in the Valley of the Sun! Thanks for stopping by Alison. I havent heard of your second book, but Daughter of smoke and Bone is just sittin in my TBR pile waiting for me to finish classes so I can read it. Now I really need to read Daughter of Smoke and Bone. I keep hearing such great things about it. I keep meaning to read Daughter of Smoke and Bone but there's just so many excellent books to read at this time of year. Everyone seems to be really enjoying it too! Hi Alison, I don't know about anyone else but I can't get to the FF feature to sign up cause the link doesn't work . Just thought I'd mention it here cause I never got a response from parajunkee . I have been meaning to read Daughter of Smoke and Bone forever! Your non-fic sounds interesting, as well. I really want to read Daughter of Smoke and Bone. It sounds so good and right up my alley. One of these days, I'll be able to read as much as I want, lol. I JUST got Daughter of Smoke & Bone and I'm so excited to read it!! Woohoo!! Daughter of Smoke and Bone's UK edition is on my TBR. I have heard many great things ^_^. The book I would recommend would probably be Leviathan by Scott Westerfeld, in fact after I finished the series I was actually going to get all my book friends that for Christmas but I came to my senses and decided to actually get them books that we're on their wishlist xD. At least 2 are still getting Leviathan though. 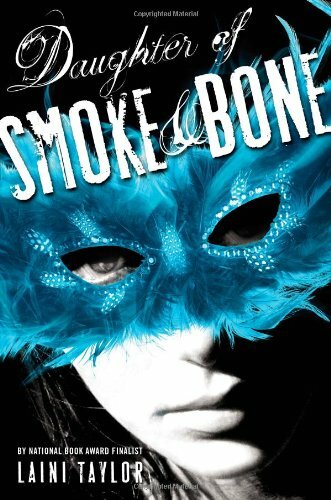 I just picked up Daughter of Smoke and Bone! I have read such wonderful reviews of it! I'm excited to start it. I promised a couple of fellow book bloggers I wouldn’t “machine gun” my Follow Friday posts on the blogs I visit but this week’s Follow Friday has inspired me to make an important exception. The book I think everyone should read is a work of non-fiction called The Four Hour Workweek. The thing is, the book is very well written and entertaining so it reads like a work of fiction. What the book can do to enhance your life and change the way you live day by day seems unbelievable on its face which might mark it a legitimate work of fiction for the skeptics out there. If you read this work of non-fiction and really follow the advice it gives and apply the insights you’ll gain, your life will read like a modern tale fairytale. Hey Alison! Happy Friday!! I have read DOSAB and didn;t really like it. But, I haven ever heard of the other book. I will look into it. Wow, I'm proud of you for reading such serious and moving nonfiction. I'll add Unbroken to my TBR list. I chose my own book because it is about homelessness. Home Street Home - The Virginia Beach Chronicles would be good for everyone to read in this season of materialistic excess, I think. Especially with so many newly homeless hitting the streets, I think my book is a timely read for this season. I've not read either of these yet - will have to add them to my list. Have a fab weekend everyone! I rave about Daughter of Smoke and Bone to EVERYONE! Laini Taylor is a master of words. I remember when Daughter of Smoke and Bone came out and I was leery b/c it was hyped up so much. Now that the dust has settled and I've heard actual good reviews, I think I'll actually add it to my TBR! Thanks for reminding me about this one! I can't wait to read the Daughter of Smoke and Bone. I have heard some really great things about it. Thanks for stopping by my FF and have a great weekend! Oh, I definitely can not wait to read The Daughter of Smoke and Bone! Thanks for the visit hon, and Happy Friday!!!! I still haven't read Daughter of Smoke and Bone, but I can't wait to get my hands on it. It looks so good! Hope you have a great weekend! I am essentially new to the FF but have been watching all the wonderful bloggers and hoping you will stop by and check out my site! I've wanted to read Daughter of Smoke and Bone for ages. I really need to get a copy. I've heard of this Unbroken book, but it's not on my list. I'll have to check it out if you think it's that good. Thanks for stopping by! Hmm, interesting choices. I know I've heard of Smoke and Bone. Might have to check it out. Ohh, Daughter of Smoke and Bones! Definitely want to read that one and this makes me even more curious. :) Thanks for stopping by! I still haven't read this yet! I'll have to see if my library has it. Sorry, I'm super late this week! lol Better late than never, right? Your book choices look interesting! Daughter of Smoke and Bone - cannot wait to read that one! In My Mailbox (60): Week of Awesomeness!